Well we’ve made it into the finishing phase of the Dreamhouse and with so many projects on the go at the same time, we’re beginning to feel a little bit of blogger ADD. With the whole house to finish at once we’ve been having a hard time figuring how to document them all without having the blog to descend into the chaos of multi-tasking that our evenings & weekends have. But then a couple of weeks ago our friend and fellow PARA Blog Crewer Michelle of Eamon & Jack suggested a few of us participate in the 2014 Calling It Home One Room Challenge linkup and Kes sand I figured that might be a start to getting us organized. For those of you who aren’t familiar, The One Room Challenge was started by Linda at Calling it Home. It’s a challenge she holds twice a year, where a group of super talented design bloggers completely redo an entire room in 6 weeks. In the linkup event, bloggers from all over play along and post their own “One Room” projects and share them each week. Kes and I actually have a ton of projects that we’ll be working on over the next 6 weeks as we barrel toward our construction completion date, but we’re hoping a 6 week blog deadline will give us the kick in the respective pants we’ll need to make sure we aren’t neglecting all of you following along this journey with us! With so many to choose from we had a hard time narrowing down which ‘One Room’ to share & document the progress on. Then we realized what better place to start than the literal beginning of the house – the front door. You’ll notice 2 major changes. First, we’ve removed the foyer closet. And second, we’ve re-located the powder room. Those might seem like little things but the benifits of making those 2 changes are so huge to how we’ll use our ground floor space that this one suggestion alone is probably why we’d say hiring Lisa was worth. every. penny. Not only did it open up the sight lines to the back of the house letting a ton of light through, but it offers easy access to the kitchen straight from the front door, it gives us a wall in the family room to mount our tv on, and most importantly, it gives us a nice long hallway between the front and garage entrances that we can work with to keep our coats, hats & shoes organized. It’s not exactly a typical mudroom per se, but it’s probably the next best thing and one that’ll actually work well for our family. Follow The Dreamhouse Project’s board Foyer/Entry Inspiration on Pinterest. So what do you think? Do you have an organized entryway in your home? Is it one of the projects on your to-do list? Let us know in the comments! 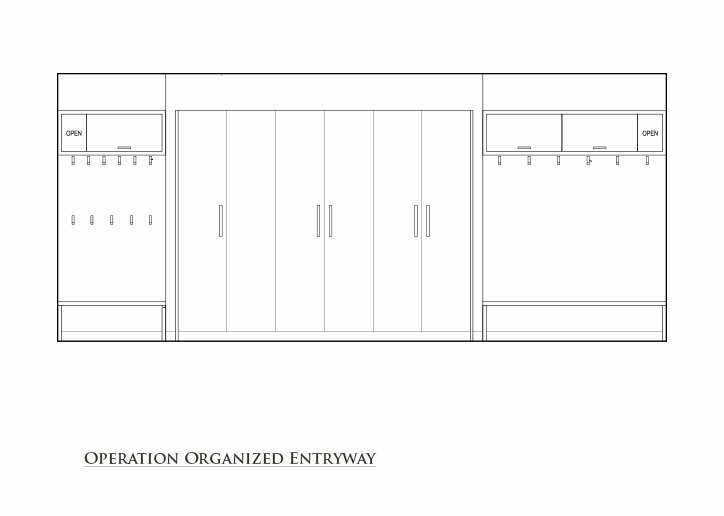 Be sure to check back every Thursday when we’ll be sharing our #OperationOrganizedEntryway progress. Oh – and don’t forget to follow along on all the other ‘One Room’ Challenge projects here. Oh wow this space if going to look amazing! I love your hallway entry plans! I can’t wait to see how this turns out!! Thanks my dear! I’m excited to see your bedroom progress as well! Did you decide which colour scheme you’re going for yet? 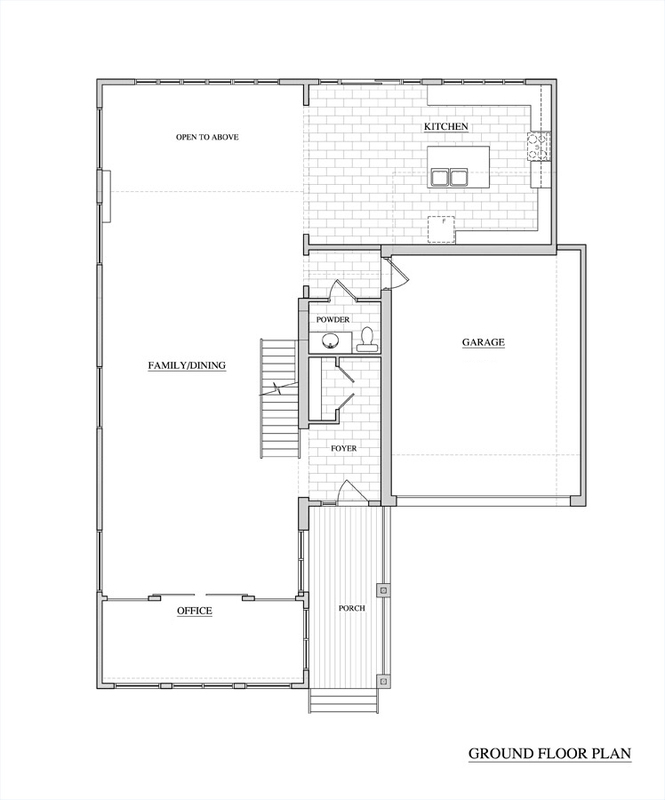 Love the new floor plan! I’m all about the clear sight lines to the back of the house 😉 It really does make a huge difference. I cannot wait to see it all come together. What a great space to work with! Thanks so much Sabrina! It really does make all the difference. Having all that natural light passing through really makes it feel much more open! Wowzers! You have a big job ahead of you, but it will look Fabulous when it’s done! Can’t wait to see it happen! Thanks Michelle! Yea, seeing the to do list in black & white is making me realize what a huge job we have ahead. And that’s just the list for this project! The full list to get the house complete is SOOO much longer. Wish us luck! 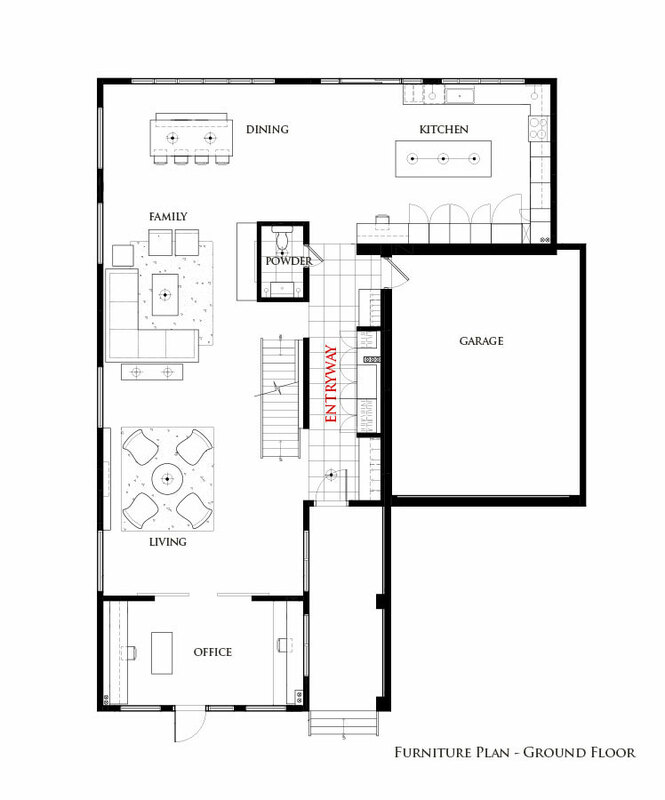 first thing I thought when you had the new floorplan — how much easier it will be to bring in groceries from the front or the garage right to the kitchen. that is definitely a pro. Exciting to see this further develop! Hi Tash! You had me at organized! 🙂 I can’t wait to see your progress – I love your plans – and that paint color…beautiful! What a lovely entryway space this is going to be. I cannot wait to see your progress and how it all unfolds. I too am participating in the One Room Challenge. My challenges? I just moved to a completely new state (Texas) last week and therefore have no idea where to source things other than Wal Mart and Home Depot. 🙂 I need to transform a 30 year old polyurethaned oak coffered ceiling that has never before seen paint. The accompanying powder room rivals the worst gas station stall ever. But a bonus is that the previous owners installed a wine glass and bottle holder on the ceiling of the bathroom. I kid you not. Come take a peek. Thanks for stopping by Laura! We’re pretty excited about the prospect of getting it complete. The paint choices are still a bit up in the air. Right now we’re loving them – especially the PARA Paints Polar Quartz (PF69), but because the space is so open we need to make sure we choose the right grey as it’ll probably be the jump off point for the entire main floor. Wish us luck! Thanks Kathleen. Yea we’re really happy we decided to make the change. 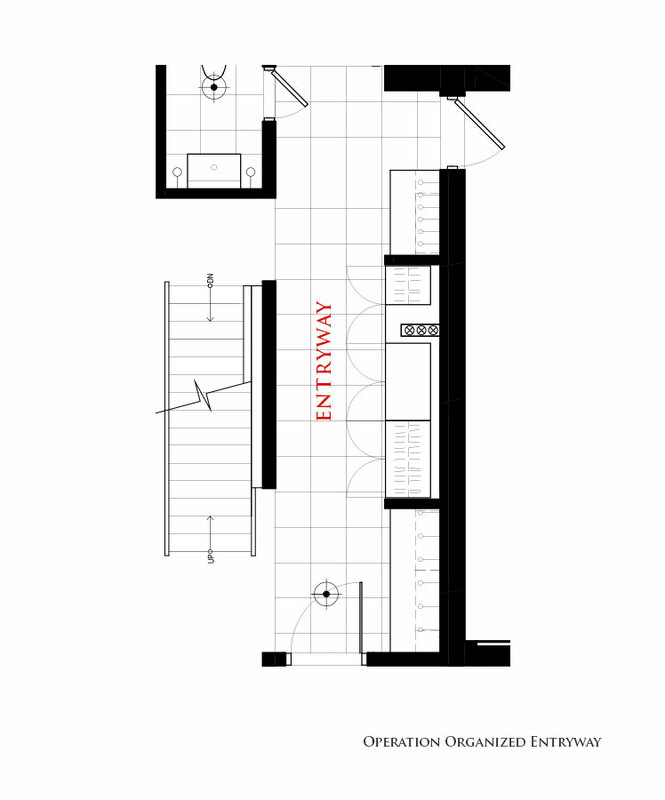 It was the one area of the floor plan that we weren’t 200% happy with and now it’s one of my favourite features.